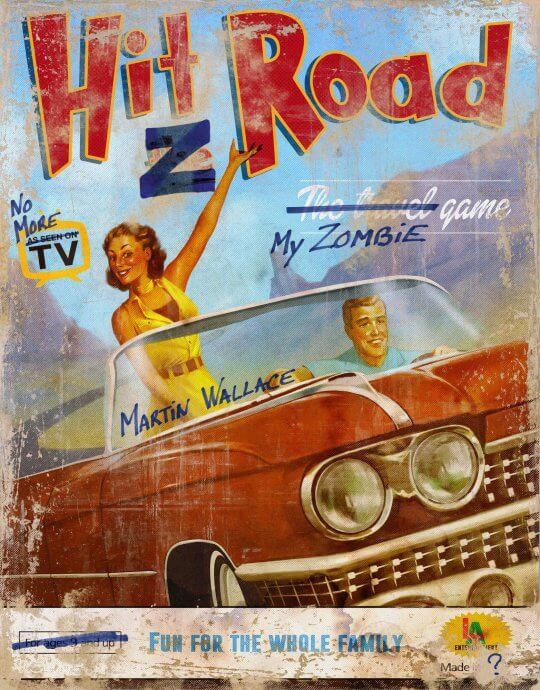 In the fast-paced and morbidly kitschy game Hit Z Road, you and your fellow players embark on a road trip going south from Chicago along America’s famous Route 66 — now infested by zombies. As you travel though a deck of adventure cards rife with dangers, you battle zombie hordes, drive abandoned school buses, scavenge for gas and bullets, and explore a darkened, tainted American countryside full of shambling undead, haunted carnivals, and plumes of toxic gas. Your goal is to stay alive until you reach the safe, sandy beaches of the California coast.